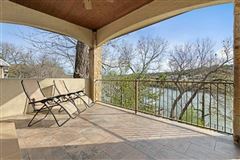 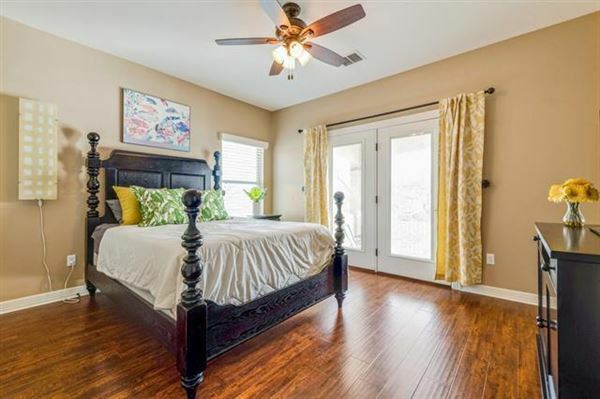 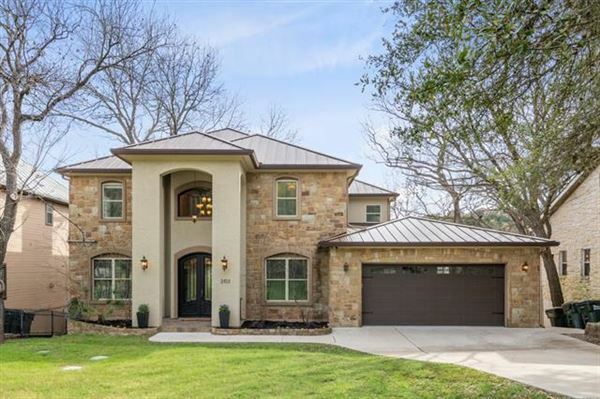 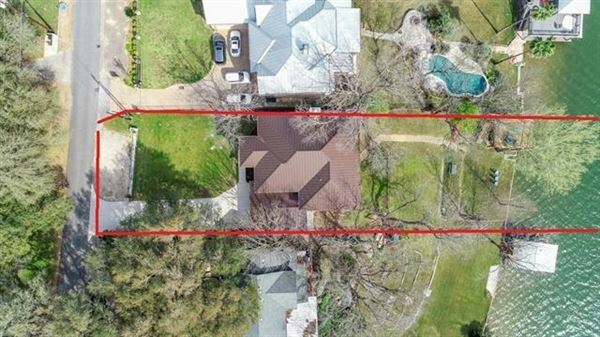 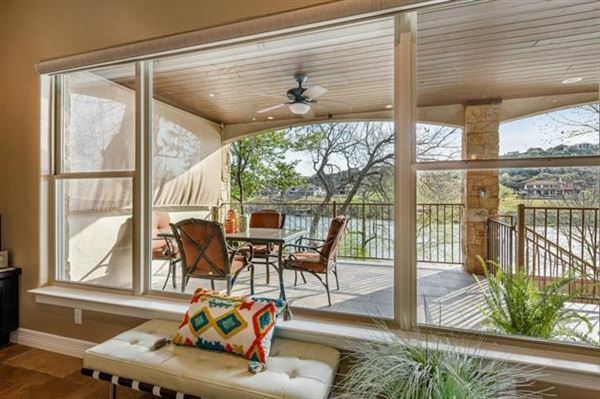 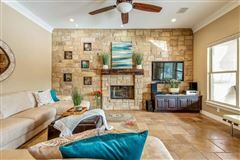 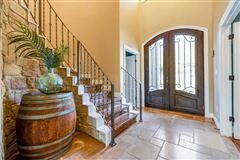 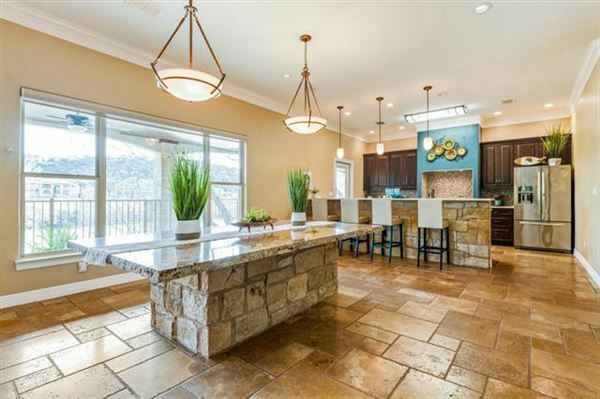 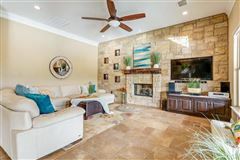 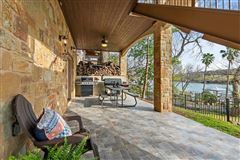 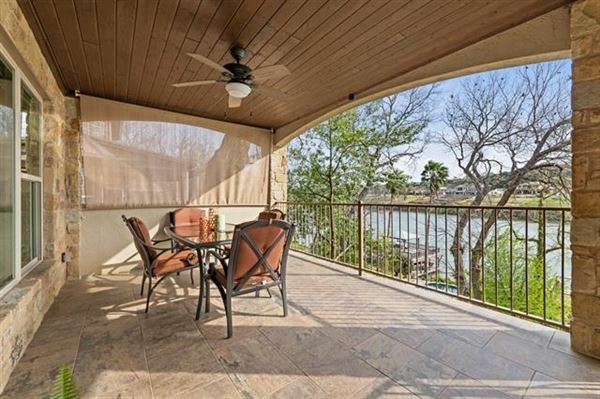 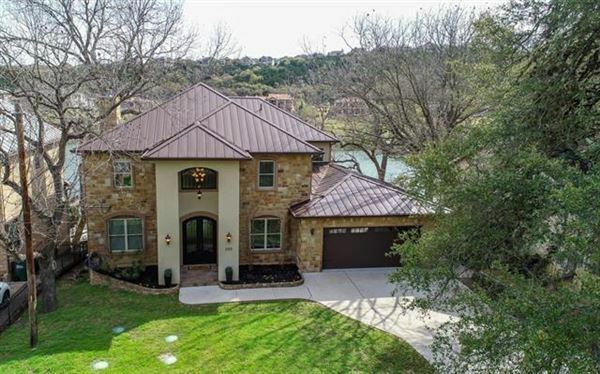 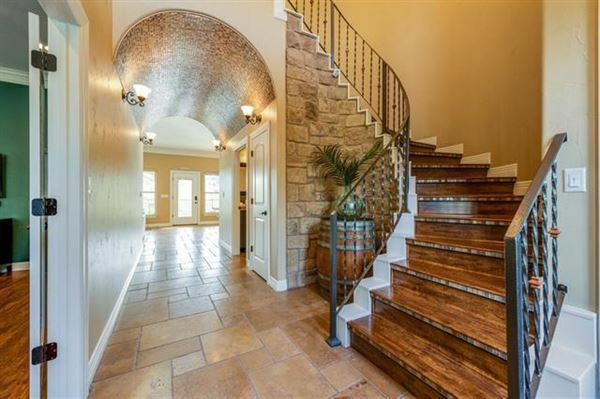 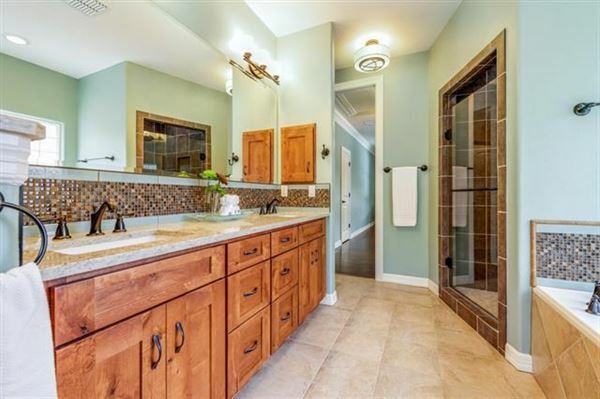 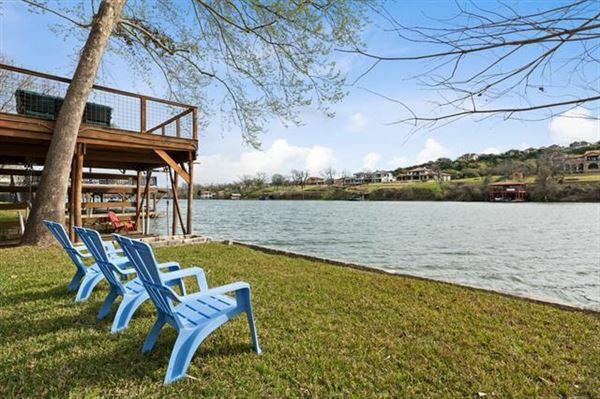 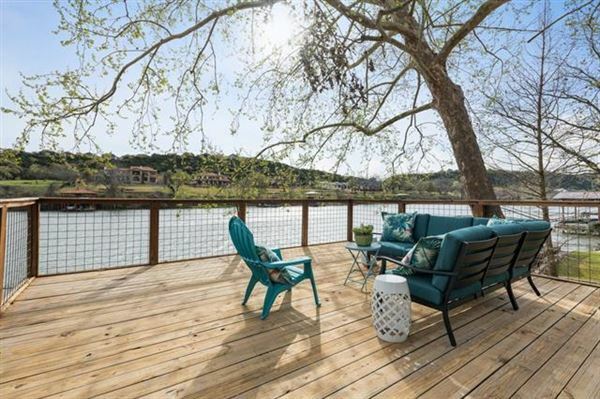 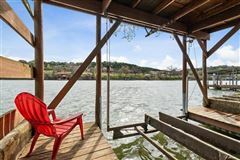 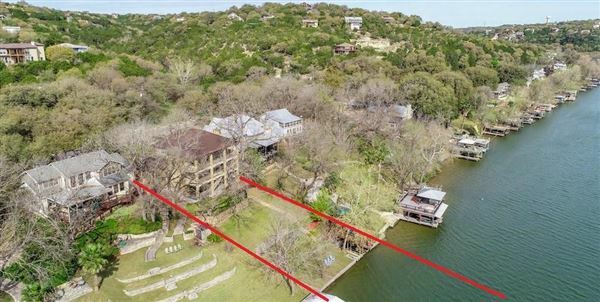 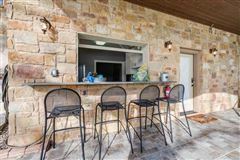 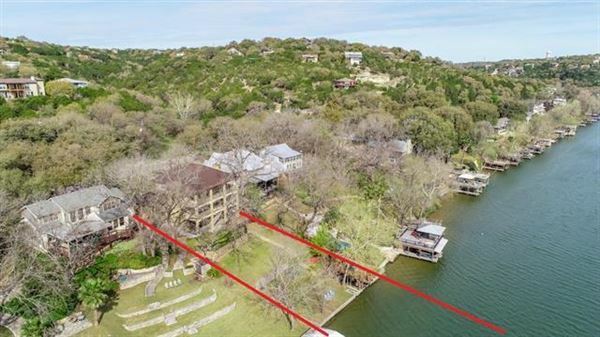 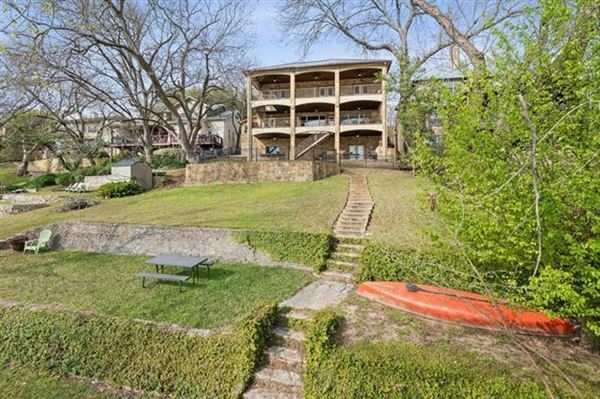 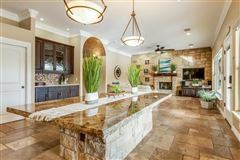 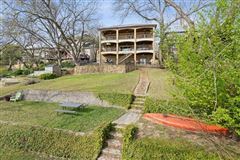 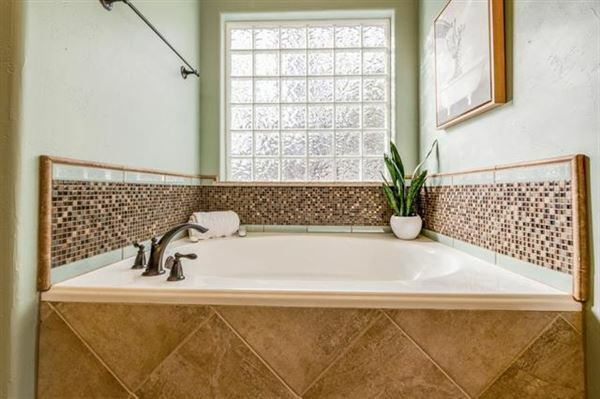 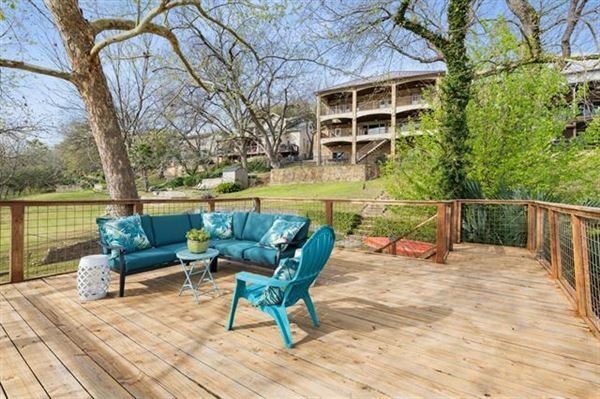 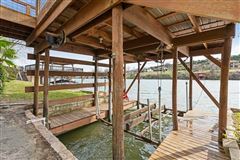 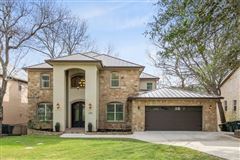 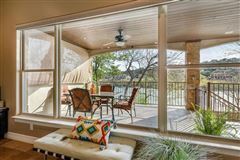 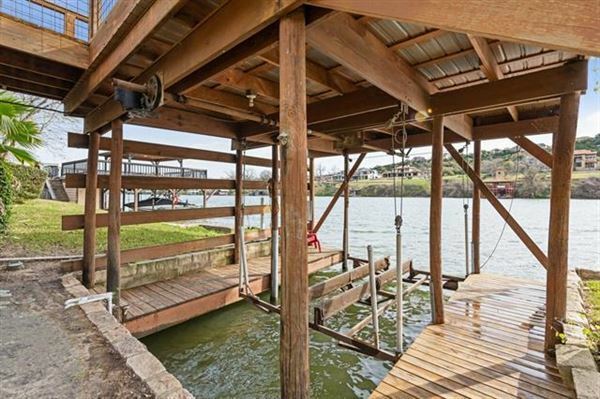 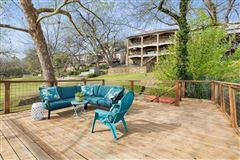 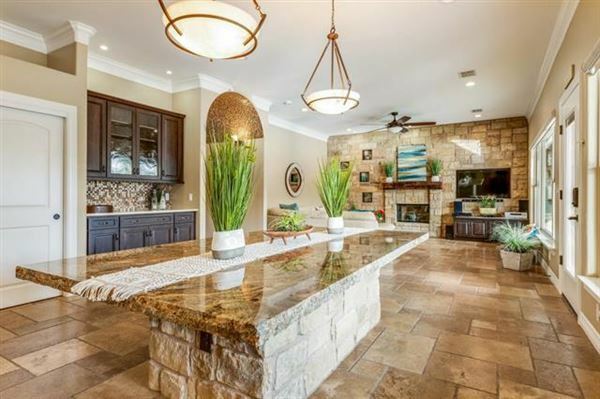 Amazing Waterfront Custom four to five bedroom on a magical terraced leveled back yard, 75 feet of Lake Austin waterfront to enjoy making memories; with a one slip boat dock! 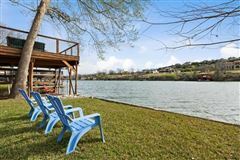 Incredible views, super quiet part of the lake to enjoy wildlife. 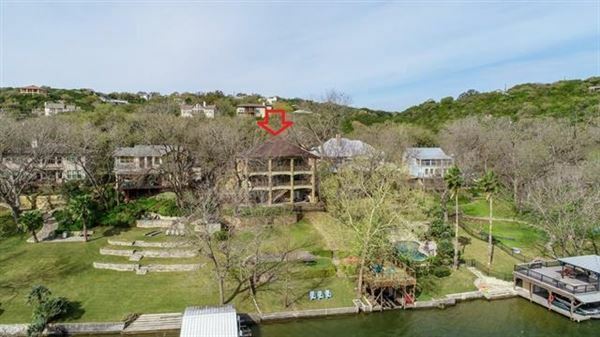 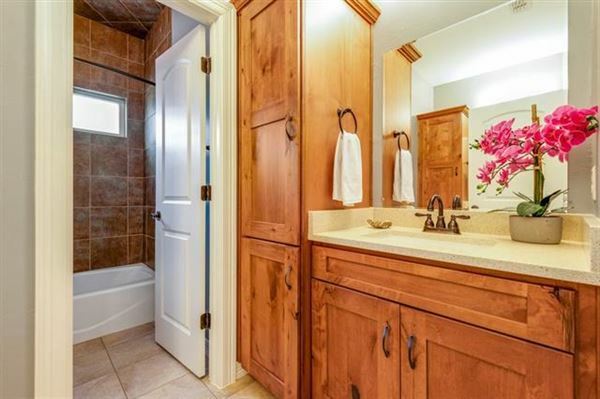 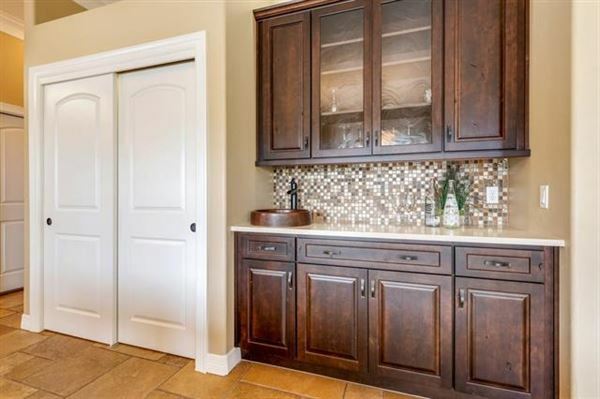 Only four years old, well-built stone home, metal roof, very open kitchen/living dining to lake views. 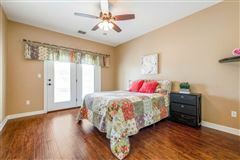 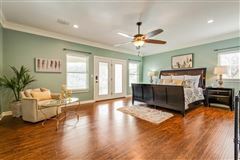 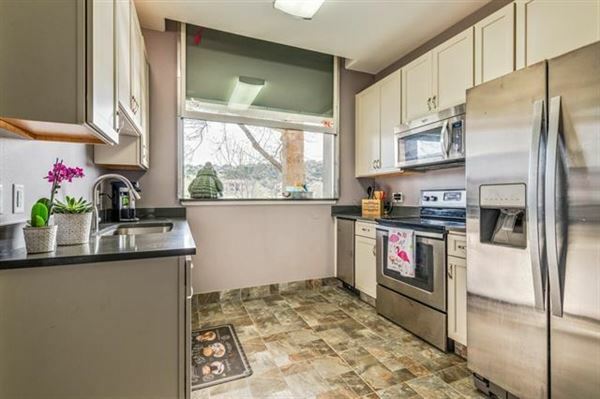 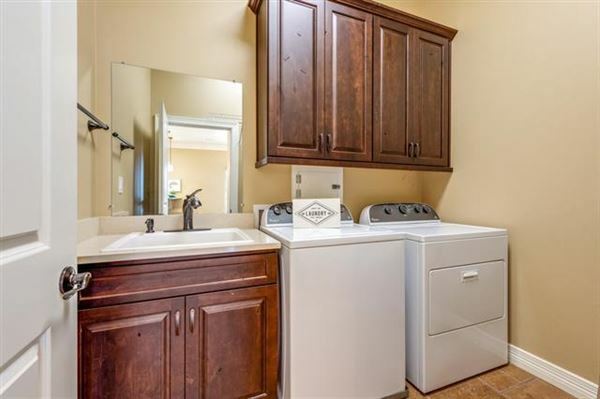 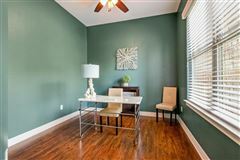 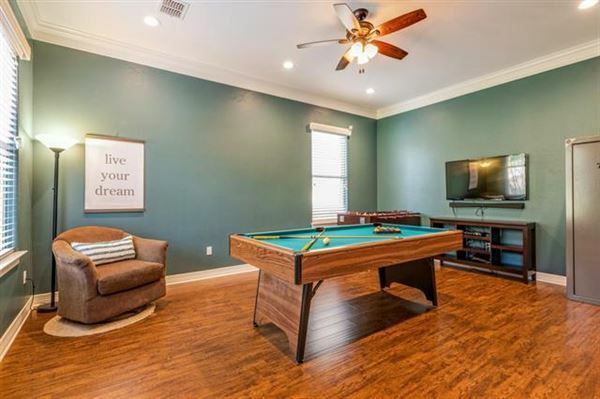 Main-level has three living so could be fifth bedroom option; lower level with separate entry with second indoor/outdoor kitchen/bath and bonus! 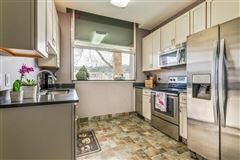 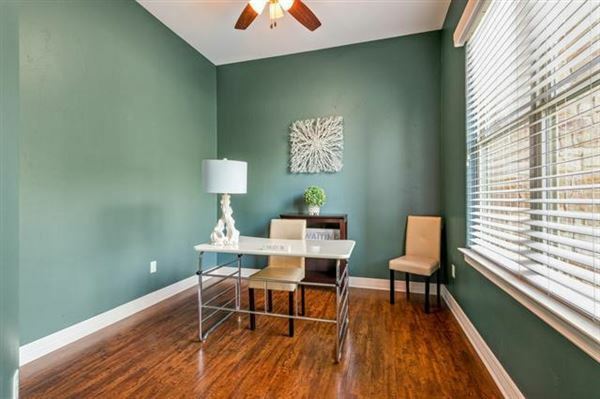 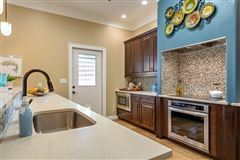 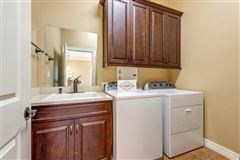 Stone and wood floors, Alder wood cabinets; Awesome buy!